News & Calendar Stay in the know. Student LifeBalancing work and play. This is CornellGet the facts. Financial Aid Invest in your future. 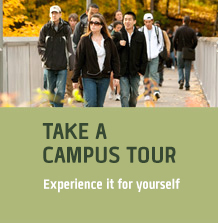 Browse information sessions, tours, activities, attractions and other campus events, and create your visit itinerary. 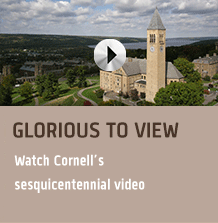 Cornell is home to seven undergraduate colleges and schools that offer nearly 80 majors and more than 4,000 courses, as well as challenging dual-degree programs. With more than 1000 student organizations, an active public service center, and a vibrant fraternity and sorority community, there’s something for everyone at Cornell. From Division 1 athletics, to intramural sports and on-campus fitness centers, Cornell has it all. Cornell is one of the greatest research universities in the world, and providing undergraduates with research opportunities is a top priority. Check out our lively residential communities and some of the best food and dining you’ll find at any U.S. college or university. 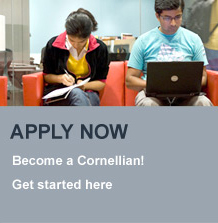 Cornell welcomes visitors all year long. Come and see our beautiful campus for yourself. Take a student-led walking tour, attend an admissions information session, join us for a Big Red hockey game, or attend a performance at Cornell’s Schwartz Center. We are happy to provide you with general information about admissions, our students, academics, and financial aid at the university. In particular, the admissions data listed here are meant to give you a broad understanding of the kind of highly qualified candidates we admit to Cornell. These numbers should not be interpreted, however, to mean that objective data are the most important criteria in our selection process. Other factors, such as secondary school curriculum and performance, special talents, extracurricular activities, essays, and interviews (where required) are critical to our decision making as well. *23.6% of students were ranked.